Google is very smart in terms of Advertisement and marketing. The company is improving its strategy day by day for you. Chrome browser is famous more than other browser services and download percentage is high. It came in media that Google will launch chrome ad blocker. If it is true then what will be happened with the users of Google Ad-sense. Because the earning of the publisher will be hampered. You think that why Google hurting the self-advertising company. They gain maximum revenue through advertisement. Google gained $89.5 billion in revenue in 2016 from advertising service Google Ad-wards. The advertiser pays Google for every click on ads. They pay a few cents on genuine click. 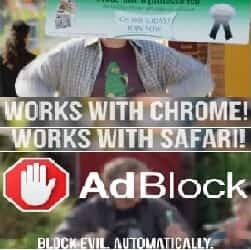 You will be remembered that Google announced that this year they will come to market with new tools Chrome Ad Blocker. This tools will be used to block those advertisements, which will not full fill the terms condition criteria. Google is trying to launch this ad blocker on 15 February 2018. This ad blocker is not the special chrome version. It may be possible that Google will launch “Chrome 64” on 23 January as well as “Chrome 65” till 6 March 2018. After that, they try to provide this facility to his users on a large scale. A piece of good news is that this ad block tools will not block every running ad. The main work will be to block those advertisements, which are violating terms condition and are using the platform to serve aggression. The main work to stop those ads on site, which are stealing your personal information, data. The tool will block this activity. So, it is clear that advertisers and publishers should not be feared on the launching of tools. Basically, this will help you to safe networking. See this -Video On Ad Block Function.